Pristine Home provides homeowners and businesses with the option to outsource their cleaning needs. We have over a decade of experience in the industry, and are knowledgeable of the appropriate methods to apply when cleaning properties of varying sizes. We also have a strict selection process for cleaners, so you can have peace of mind that only trusted and highly-trained cleaning technicians will enter your home. We provide regular cleaning and one-off cleaning to spruce up your house or workplace. 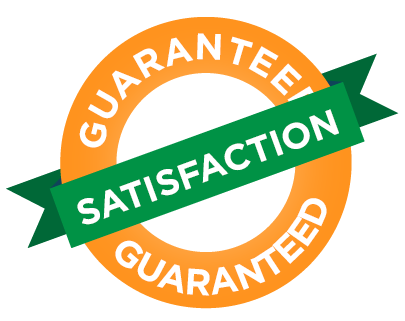 Our guarantee is to leave your place looking sparkling clean at the end of every cleaning appointment. We help you maintain a tidy and organized house through our domestic cleaning service. We can perform this basic cleaning on a weekly, fortnightly, or monthly basis depending on your unique needs and your preferred cleaning schedule. By letting us vacuum your living space, clear off cobwebs from the ceiling, and wipe dirty surfaces, you are able to save precious time, which you can use to relax or to engage in other productive activities. When you are nearing the end of your tenancy, there are many things you need to accomplish. You have to pack your belongings, finalize your bills, and perform a deep cleaning of the place to make it presentable before the final inspection. Landlords typically have strict rules relating to vacate cleaning, and a basic cleaning of the rented property may not pass their standards. Stop worrying about the cleaning aspect of moving out and let our expert cleaners handle the task for you. We will take care of removing dirt and dust from every corner of the property to leave it looking as close its original condition as possible. 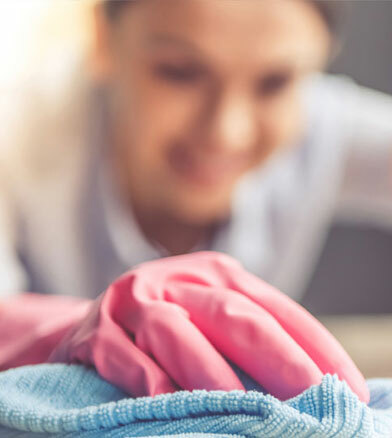 If you want one less thing to worry about as you make your transition to a new home, schedule an end of lease cleaning appointment with Pristine Home. We start by wiping dirt off surfaces, polishing wall tiles in the kitchen, scrubbing gas control knobs, then proceed to cleaning out the fridge, polishing floors and wooden units, and vacuuming carpet edges. Whether you live in a one-bedroom apartment, or a three-story residence, we can create a customized cleaning service to allow you to keep a sparkling clean abode. We start by picking up clutter from every room in the apartment before we move on to organizing closets, dusting surfaces, and sweeping the floors. If you have ever felt the urge to do a thorough cleaning of your house during the winter season but failed to actually find the time to do it, you are not alone. Many homeowners struggle to cut through winter’s mess because of their hectic schedules. Luckily, you can seek the assistance of professional cleaners to do a massive cleaning of your place. Our spring cleaning service includes washing baseboards, cleaning windows inside and out, dusting decorative items, sweeping the front and back porch, and disinfecting surfaces. This part of the house deserves extra care, so you want to do more than just a basic cleaning. But cleaning the bathroom can get messy, which explains why it is one of the most dreaded tasks of many people. At Pristine Home, we thoroughly clean all surfaces to get rid of dirt and bacteria. The result is a powder room that smells and looks refreshing. Our highly-trained cleaners can help with removing cobwebs, cleaning ceiling fans and window sills, and disinfecting toilet, sinks and faucets before you move in or out of a property. This service is ideal when you are vacating a rental, and want to make sure that you will get your full bond back. Your satisfaction is our priority, so if our service falls short of your expectation, we will schedule another round of cleaning, at no additional cost. Want More Control of Your Time? Doing a regular cleaning of the house means spending at least an hour a day decluttering the living space, sweeping the floors, and wiping dirty surfaces. The task can be even more challenging when you have to do all the cleaning on your own. Instead of spending your free time doing a deep cleaning of your house, get the help of Pristine Home cleaners who will take care of the dirty work for you. We can create a customized cleaning service to serve your needs, and to allow you to have more control of your time usage. 10 Yeas Experience: We’ve been operating in Rebesby and the surrounding suburbs for 10 years now! We are able to offer exceptional cleaning services at reasonable prices because our rates are based on the average pricing of other cleaning service providers in the area. This way, you know that you are not overpaying for the same service. Your relaxation time is important, especially after a big week at work. We will work efficiently to give you a fresh and clean home environment to enjoy all week long. Our team are all highly trained to give a consistent and quality assured clean of your home or business. We can be relied on every time. We personally interview every new team member we take on as well as undertake a complete police check to ensure you and your home are safe. Booking a workplace or home cleaning service with us is easy. Simply go online to book a cleaner, review the instant quote that will be displayed, and we will arrange for our cleaners to come to your house on your preferred date. We are constantly receiving positive reviews from our clients because of the reliability of our cleaning staff and the quality of the cleaning services we deliver.